Sometimes you want a satisfying treat without having to bake a whole cake. 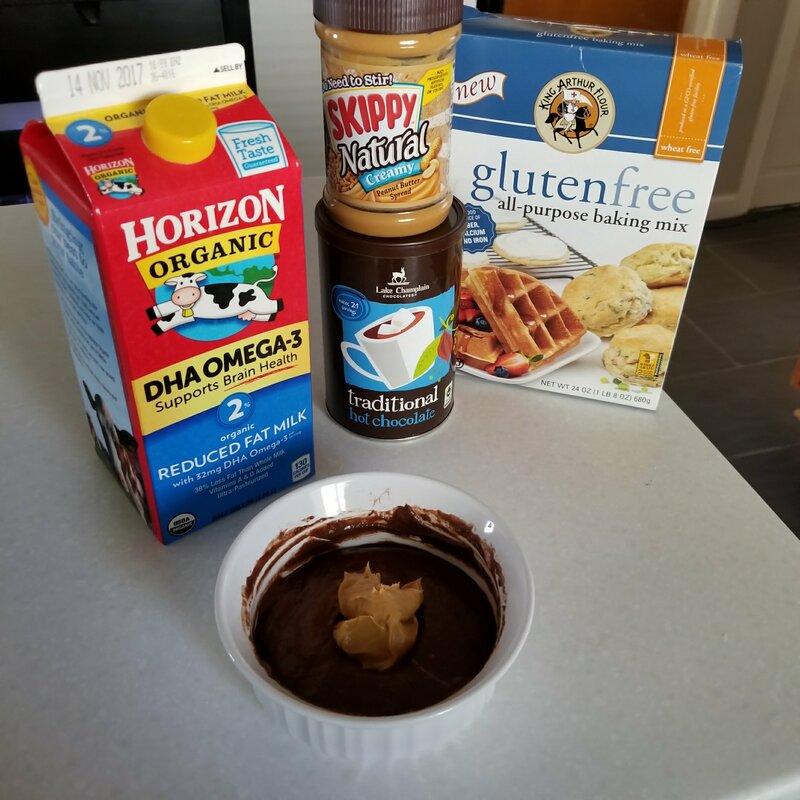 This is a delicious and easy snack. Mix everything but the peanut butter in a ramekin or mug. 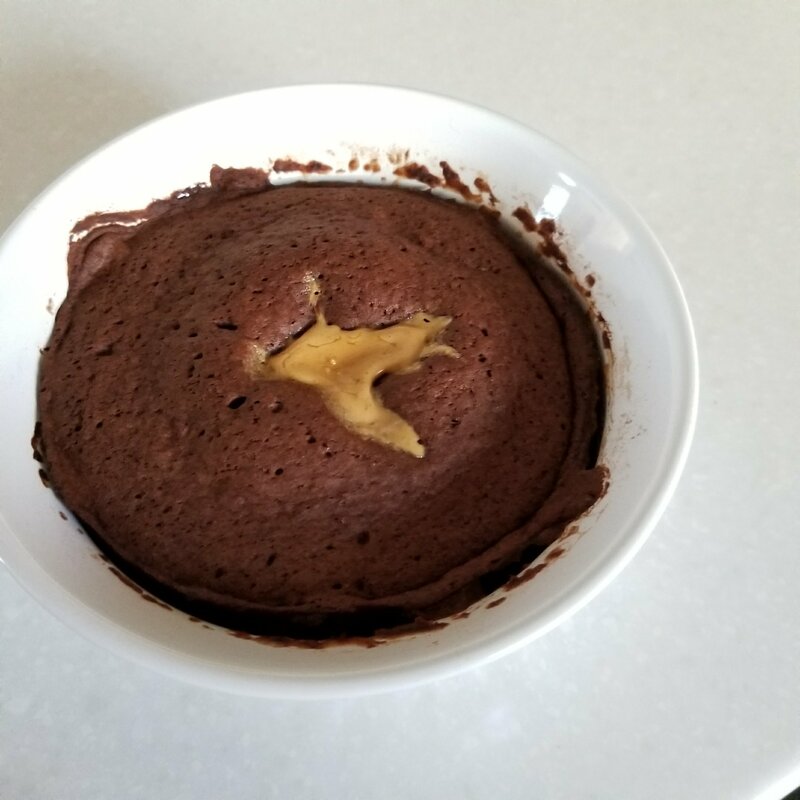 Drop the peanut butter in the middle of the batter. You don’t need to cover it. When it cooks it will rise up around the peanut butter. Microwave for 2 minutes. Enjoy! You can switch out the peanut butter for Nutella or Marshmallow Fluff if you want a different kind of lava.